Wedding PR: Women's Health, Book More Brides, Brides.com, and more! Wedding PR: Women’s Health, Book More Brides, Brides.com, and more! We’re wrapping up this week with a bunch of amazing client features including Women’s Health, Book More Brides, Brides.com, and so much more! See it all below. 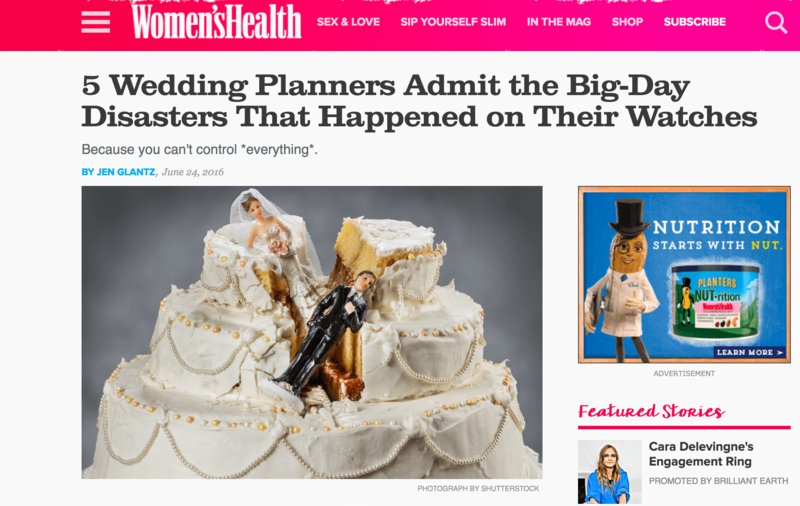 Taylor’d Events was featured on Women’s Health in their article about what happens when things go awry at your own wedding when you’re an event planner. See the full feature here. Fantasy Sound was featured on Book More Brides with a guest article, 4 Smart Tips For Dealing with Event Crises. See the full article here. Rentivist was on Glamour and Grace in a post all about how they are transforming the event rental world. See the full feature here. Cocoon Events was featured on Special Events with their guest article Building a Solid Team For a Destination Event. See the full article here. Destination Weddings was featured on Catersource in their guest article about embracing the destination wedding guest experience. See the full feature here. Cocoon Events was featured on Huffington Post in their article all about over-the-top wedding details. See the full article here. 100 Candles, Destination Weddings, and Cocoon Events were featured on Brides.com as expert commentary in their article How to Create a Wedding Ceremony Aisle That’s Totally Unique. See the full feature here. OFD Consulting was featured on Planner’s Lounge with a guest article, Wedding PR: Let’s Talk About Getting Your Weddings Published. See the full article here. Stephanie Yonce Photography was featured on Bayside Bride with a gorgeous golf club wedding. See the full feature here. Taylor’d Events was featured on Book More Brides with a guest article, How Can I Work in Weddings if I’m Not Ready to Start My Own Business. See the full feature here.